Some 180 developers participating in the government- backed home sales expo next month are expected to dish out more exciting goodies than the minimum 10% discount on their unsold properties, to clear inventories which have been hurting the sector. 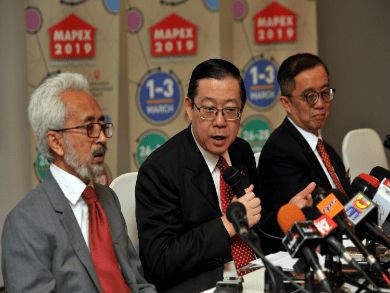 Developers participating in the Malaysia Property Expo 2019 (Mapex 2019) could offer more than 10% discount, as the expo addresses the property sector at a very crucial juncture where unsold homes have reached a record high of 30,115 units nationwide to date. Laurelcap Sdn Bhd property valuer Kit Au Yong said it will not trouble the property firms to dish out more than 10% discount, as the campaign’s objective is to assist the developers to manage the overhang situation, besides to meet the demand for housing especially in the affordable segment. “I am sure there will be quite a substantial numbers of unit managed to be sold as I foresee more goodies being thrown in, either from the developers or even possibly from the government in terms of incentives,” he told The Malaysian Reserve. “You can certainly see that the Ministry of Housing and Local Government (KPKT) has been engaging with stakeholders, especially developers, to provide housing needs to the people and at the same time managing the market condition, in particular the overhang situation,” he added. From the total 30,115 unsold homes, some 17,971 units are priced below RM500,000, while the remaining 12,144 are units between RM500,000 and RM1 million.